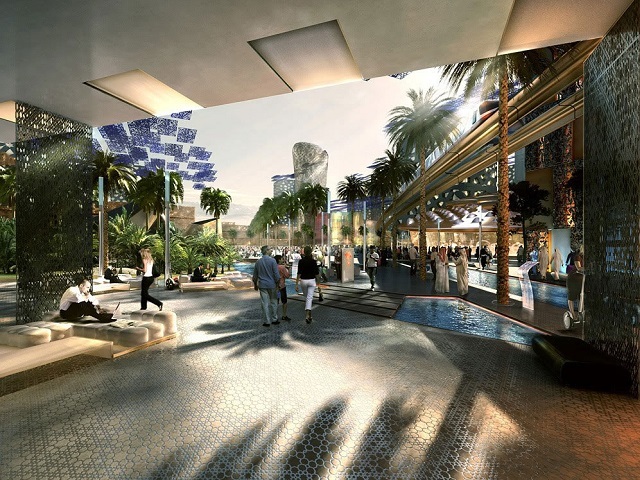 This rendering from Masdar City shows one version of an ideal city of the future. What does your city look like? Photo by Forgemind Archimedia/Flickr. What will your ideal city look like in 2030? That is the question of the third annual international blogging contest hosted by Masdar, Abu Dhabi’s renewable energy company behind Masdar City. One winner will receive a paid trip to Abu Dhabi – where Masdar City is located – in mid-January, 2015, and will serve as VIP blogger during Abu Dhabi Sustainability Week. The contest asks participants to think creatively about the future of urban planning. Blogs must be submitted by January 2, 2015, so don’t wait! Cities worldwide are at the forefront of innovation and sustainability. How would your ideal city of the future thrive? How will cities accommodate urban growth and protect the environment? Cities are faced with a range of daunting challenges, but cities are also hotbeds for forward-thinking solutions. Cities are experiencing rapid population growth, and by 2030, the United Nations expects there to be 41 megacities with ten million people or more. This can strain resources and makes sustainable urban planning even more important. The Masdar blogging challenge invites participants to consider developments in water, waste, energy, food production, and transport. Cities of the future will need to drive economic growth that raises quality of life while also curbing greenhouse gas emissions and using resources responsibly. Last year’s competition received 117 submissions from six continents to help generate a conversation around sustainable urban development. Masdar City is an innovative community that may provide a glimpse into the future of sustainable cities. 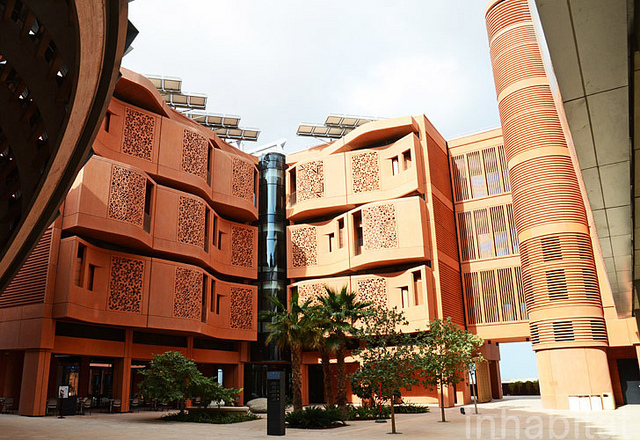 Masdar City aims to be the world’s most sustainable eco-city with narrow, shaded streets to keep the city cooler, rooftop solar panels, and an innovative integrated transport system. Transport in Masdar City will focus on walking, cycling, personal rapid transport, and electric-powered public transport options. At TheCityFix, we are working to envision what future cities might look like if there was no need for a car. Masdar City may be an early step towards this future. Masdar City broke ground in 2008, and aims to provide a “greenprint” for how cities can reduce resource usage and accommodate growth. Photo by Inhabitat blog/Flickr. Need more ideas about what the future of sustainable cities might look like? Look no further than TheCityFix! Friday Fun: Can personal rapid transit replace 90% of cars on the road?